Premier League referee Mike Dean was voted Man of The Match for his performance officiating the Chelsea v Arsenal match. 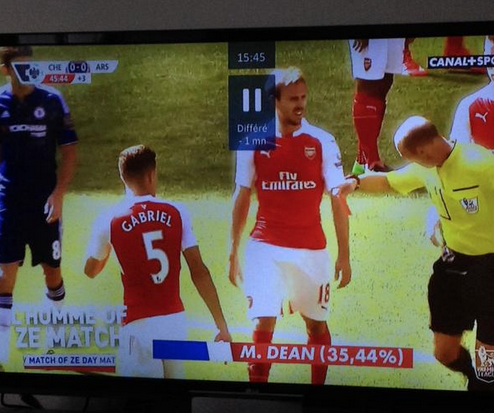 Dean became star of the show for sending off Arsenal’s for what is technically termed ‘something of nothing’. Canal+ viewers named Dean their man of the match. Chelsea manager Jose Mourinho opted for Diego Costa, the player Arsenal boss Arsene Wenger called “disgusting”.